Previously the STARS 20 Hour Basic. September 2013, DEL MERIT released a new curriculum for the Basic STARS course, which replaced the 20 Hour Basic. The new course is called "The Child Care Basics" and is designed to be 30 hours of training. Online students work at their own pace and may take more or less time to complete the course. 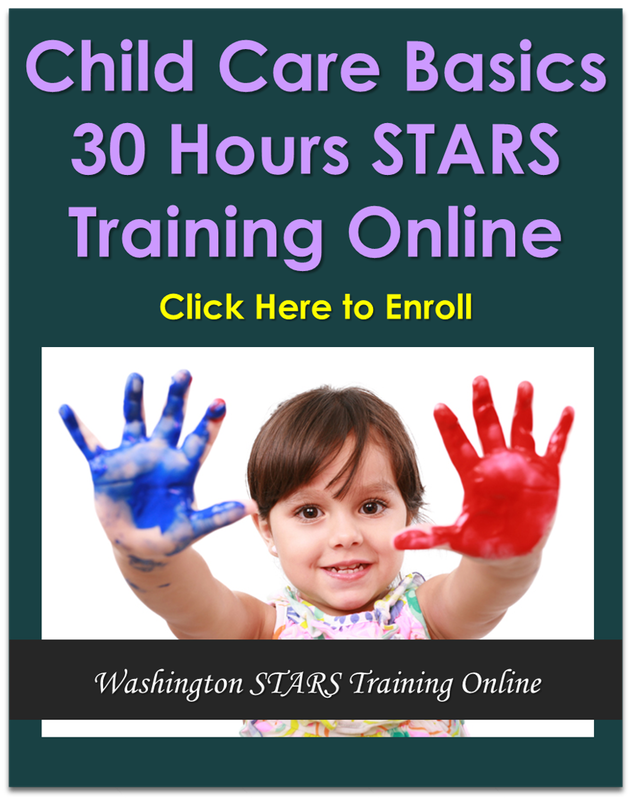 The Child Care Basics focuses on the 10 modules, as outlined by DEL MERIT to meet the basic STARS certificate for Washington child care professionals. The tuition for this online course is eligible to apply for FULL reimbursement through the STARS Scholarship Program in MERIT. The STARS Scholarship program will reimburse up to $150 per year for STARS training. The 20 Hour Basic Training has been replaced with the Child Care Basics. Staff 20 Hour Basic Training.